This is a Casual Two Hour Art Class for your children aged 7up. In this class children will create a beautiful seascape painting using water based, child safe, acrylic paints. 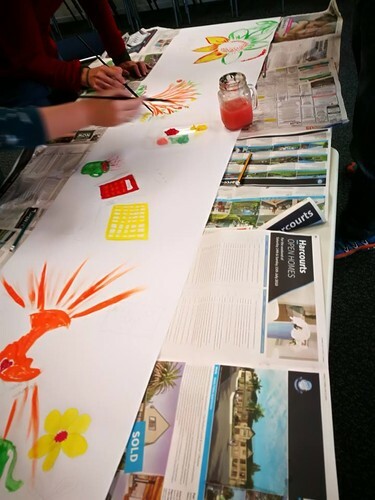 Located at the beautiful Browns Bay Marine Centre, 10-12 Beach Front Lane, Browns Bay, children can experience an ocean view which may inspire them with their painting. At only $35 per child with all materials provided you can drop your child off and go have a coffee with a friend knowing your child is in safe hands with their tutor Annie. Annie has been painting, tutoring and selling her artwork for the last 13 years in NZ. She has a bachelor of arts degree with a major in psychology and believes in the power of art as a healing too. Annie is also a trained ABA Therapist and has worked with special needs children over the years. If you would like to book, pm Annie or call/text 0212220524. Limited spots for this class.